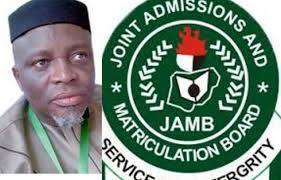 If you have been asking how would jamb 2019/2020 will be marked and graded then this article is for you. I will advise you to read this post from A-Z so as to understand how jamb is being marked and how they calculate their score. of recent we have seen an unusual reduction in the total number of questions jamb sets in the exams which makes one to wonder if the mark attached to each question are still the same as before. Well despite the reduction in the total number of questions the total mark still remains the same 400, this is because they will still mark the total score over %100. So by extension the highest mark a candidate that score is 400 while the average score is 200 this is where most competitive universities are going to peg their departmental cut of mark. If you where given like 40 questions to answer in a subject and unexpectedly you got every question right, that means you have scored 100 marks in that subject. All score you got must be multiply by 100 and still be divided by the total number of questions , hope you understand? This new system is a good news to some and also a bad news to some. if you happen to score very low score anything between 1 to 18 will drastically reduce your chances of crossing 200 in jamb total score..
Two passages equals 10 questions. One question carries 3 marks. 10 times 3 equals 30.
the new jamb grading system was adopted to consider those candidates who performed well in their O level results. this means that institution will now take O level grade into consideration when giving admission. special marks of 10 are awarded to candidate who got their grades through one sitting while those with two sittings will only get 2 marks. This new system will also affect those with low WAEC and NECO Grade as this could water down your high jamb score. there have been wide speculations about this issue which goes along to say, if a candidate did a guessing work and got a question wrong, a mark will be deducted from you. the aim of negative marking was to discourage guessing work in the hall. I don’t think jamb substrate makes because you got an answer wrong. Well it’s of my personal opinion that no such thing is in existence as it makes no sense at all. I have written down a comprehensive list of all jamb subjects combination for all courses but have it in mind that you must include the use of english language which is a must and also register any other 3 subjects that are relevant to your field of study. I find this article so interesting and informative I’m glad to come across this blog I hope to be receiving latest updates via my email.